The Galaxy Tab S4 enables you to engage with customers in more ways and in more places than ever before. Enjoy all-new mobile workflows. Connect, type, sign and share with ease—where, how and when it’s best for you. Be ready for whatever the enterprise may demand. The Galaxy Tab S4 was designed from the chip up to provide ease and security that exceeds the needs of IT managers. From security through deployment and management, it's truly enterprise-ready. A stunningly bright state-of-the-art Super AMOLED display is bigger, wider and better than ever. The new 10.5" display with 16:10 ratio gives you more room for dynamic, on-the-spot presentations. The strikingly realistic clarity of Dolby Atmos® surrounds you in extraordinary sound, bringing a cinematic experience no matter where you are. And with quad speakers tuned by AKG, you’ll get true-to-life audio quality that’s matched only by the brilliant Galaxy Tab S4 display. Bring presentations, videos and more to life like never before. The S Pen comes in the box, ready to capture ideas quickly, run presentations, sign documents and more. As versatile as ever, the precise and intelligent S Pen lets you translate, clip and magnify, plus so much more. And just like a real pen, it never needs charging. No matter where your team is working, the Galaxy Tab S4 keeps them connected. Its cellular connectivity takes over when there’s no available Wi-Fi, so your team can always maintain peak productivity. Knox Platform for Enterprise has been designed to meet the stringent needs of leading governments and regulated industries. Featuring advanced configuration and management options, robust VPN connectivity and comprehensive data usage analytics, Knox Platform for Enterprise should be the cornerstone of your mobile security strategy. 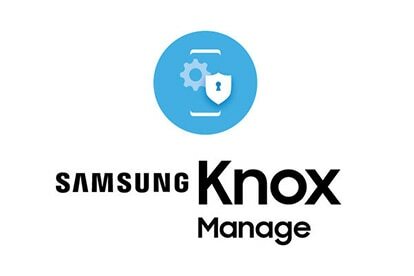 Knox Manage is a cost-effective cloud-based EMM solution with an affordable license fee that provides a simple deployment process to help you address your team’s security concerns. Restrict employees’ access to certain apps or websites, and remotely wipe and support your team’s devices, so you never have to worry about compromising your company’s data. We make it easy to deploy and manage your workforce’s mobile technology. With Knox Configure, our cloud-based management solution, you can provision and customize a large number of devices, push security patches and deploy application updates, all remotely. Now it’s as easy to manage hundreds of devices as it is one. Enroll all of your team’s devices at once, without having to manually enroll each one. With Knox Mobile Enrollment, your employees can just power on their devices and connect to the network to enroll. So you can save time and ensure that devices are secure and under your control, from the moment your team starts using them. Do even more with the power of the Galaxy Tab S4. Charge your Galaxy Tab S4 through an easy pogo connection. Safeguard your Galaxy Tab S4 business tablet in style. Capture ideas quickly, run presentations, sign documents and more. Expand your device capabilities for work and life with the HDMI, USB 3.0, Gigabit Ethernet and USB-C charging ports. Find out how mobile technology can improve the patient experience every step of the way—from the hospital, to the clinic, to the home. Find out how mobile devices in retail associates' hands are the key that can unlock engaging retail store customer experiences and increased revenue. Learn how Samsung ProCare delivers mobility technical support, from escalation to development, to help keep your business running smoothly. 1Accessories and monitor sold separately. Samsung DeX using an HDMI adapter, multi-port adapter or cable is only available on Samsung Galaxy Note9 and Galaxy Tab S4. Using a genuine Samsung HDMI adapter or cable qualified for Samsung DeX is recommended. Cable is sold separately and some functions may differ from DeX Pad. Certain apps may not run or may require license (for purchase) on Samsung DeX. 2DeX can be activated via Samsung Galaxy Tab S4 keyboard cover (SKU: EJ-FT830UBEGUJ) sold separately. Accessories and monitor sold separately. Samsung DeX using an HDMI adapter, multi-port adapter or cable is available on Galaxy Tab S4. Using a genuine Samsung HDMI adapter or cable qualified for Samsung DeX is recommended. Cable is sold separately and some functions may differ from DeX Pad. Certain apps may not run or may require license (for purchase) on Samsung DeX. 3Based on average battery life under typical usage conditions. Average expected performance based on typical use. Actual battery life depends on factors such as network, features selected, frequency of calls, and voice, data, and other application-usage patterns. Results may vary. 6For the full list of Knox certifications, please visit www.samsungknox.com. 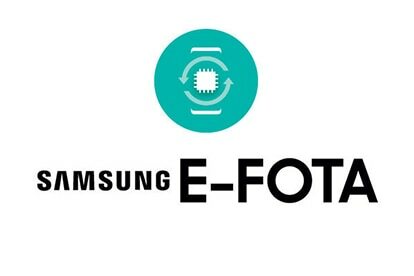 8Samsung QuickStart Services are limited to configurations of fewer than 500 devices and a maximum of 8 user/administration groups. If you have specific requirements beyond those provided by QuickStart Services, including integration with third-party solutions, please contact your partner or your carrier, or email: samsungbusinessservices@sea.samsung.com. 9Plans are sold based on MSRP or price end-user paid, whichever is less. Total duration includes one year of standard limited warranty. Labor-only costs for mechanical and electrical breakdown are covered from date of purchase. Both parts and labor costs are covered after the manufacturer’s warranty expires through the plan term.